Today, Oct. 8 is National Hydrogen and Fuel Cell Day, created to increase awareness about hydrogen and fuel cell technologies. Hydrogen fuel cell electric vehicles are highly-efficient, have zero tailpipe emissions except water, and can be powered by domestically-produced, renewable hydrogen fuel. As of August 2018, there were more than 5,100 of these high-tech vehicles driving in California, powered by a network of hydrogen refueling stations funded by the California Energy Commission. Projections for on-the-road fuel cell vehicles in California now exceed 23,000 in 2021 and 47,000 in 2024. 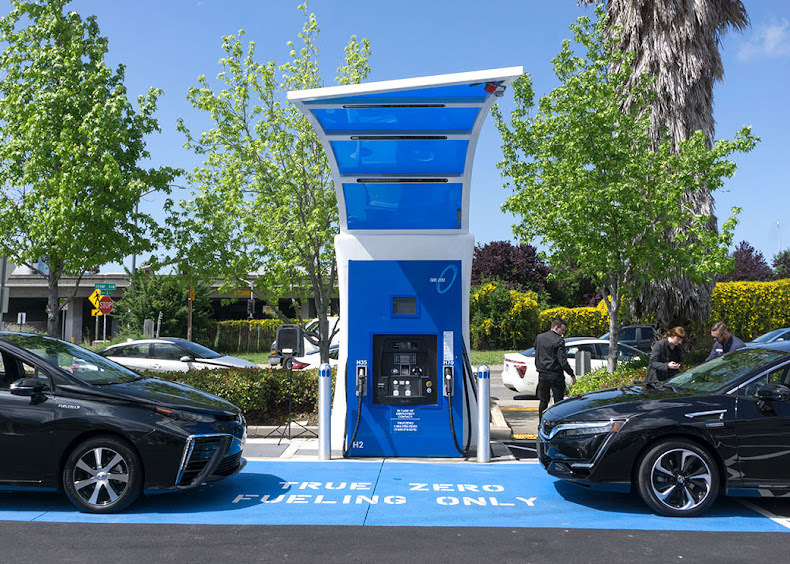 Through the Alternative and Renewable Fuel and Vehicle Technology Program, which is celebrating its 10th anniversary this year, the Energy Commission has funded 64 hydrogen refueling stations. Currently, 34 of these stations are open for business and are capable of supporting 9,500 fuel cell vehicles. The Energy-Commission funded network of hydrogen stations is one of the world’s largest network of open-retail hydrogen refueling stations. In January 2018, Governor Edmund G. Brown Jr. issued an executive order calling for 5 million zero-emission vehicles, including fuel cell vehicles, to be on the road in California by 2030—and for 200 hydrogen refueling stations to be built in the state by 2025. Last month, he issued an executive order establishing the goal of achieving carbon neutrality in California by 2045. Both orders are part of the state’s efforts to reach its climate change goals and clean air standards. This makes the transition to hydrogen and other zero-emission transportation critical, given that the transportation sector accounts for more than 40 percent of California’s in-state greenhouse gas emissions, nearly 80 percent of nitrogen oxide emissions, and 90 percent of diesel particulate matter emissions. Recognizing this, the Energy Commission is supporting access to hydrogen and fuel cell technologies in new and innovative ways. In December 2017, the Energy Commission approved nearly $3 million in ARFVTP grants to mobility services, such as car sharing and ride hailing, using zero-emission vehicles in disadvantaged communities. One grant recipient was Stratosfuel, Inc. for a car-sharing platform using fuel cell vehicles that will serve the cities of Ontario and Riverside and the University of California at Riverside. On National Hydrogen and Fuel Cell Day, and every day, the Energy Commission continues to support increased access to these cars, as well as the climate and air quality benefits they provide.